Ensure appropriate plates, screws and external fixation is available. Transverse fx in the coronal plane can not be fixed with olive wires and must be fixed with canulated screws. 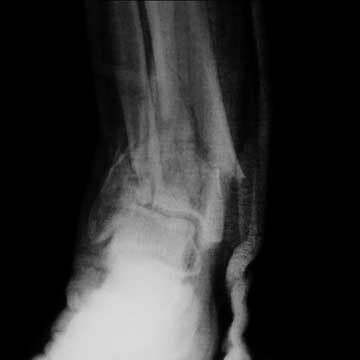 Fibula should be fixed first with plate or pulled out to length percutaneous and pinned to tibal with K-wires. 3-4 ring frame. 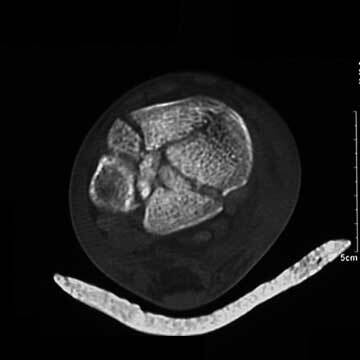 Ring at--ankle joint; Just proximal to any shaft extension; mid-tibial; level of fibular head. Proximal rings fixed together with threaded rod. First place transverse wire at fibular head. Attach prox. Ring, parallel to knee joint, collinear with intact shaft. 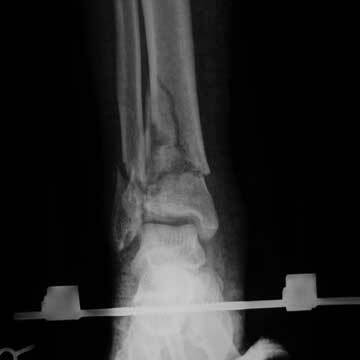 Schantx pin into prox tibia and attached to prox ring. Additional wires/pins to achieve two levels of fixation at each ring. Next achieve articular reduction. Place olive wires/cannulated screws per CT planning. Mini-open reduction if needed/bone graft as indicated AT least 3-4 olive wires to maintain reduction. Olive wire syndesmosis if indicated. 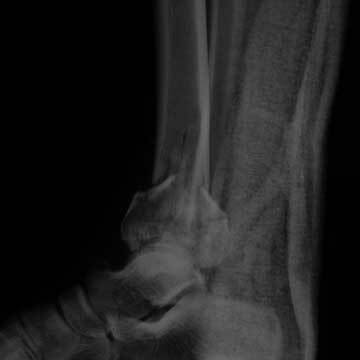 Final wire is transverse reference wire placed just anterior to fibula, parallel to joint @1cm proximal to joint. Connect distal ring to reference wire. Then attach remainder of wires using spaces as needed. Connect distal and proximal rings.